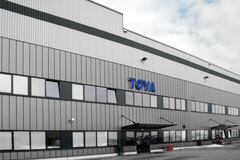 TOYA products are synonymous with highest quality professional tools and unique and individual service for the most demanding customers. TOYA is one of the most strongly developing capital groups in hardware & tool segment and one of the few, which systematically – both in economic growth and crisis years – dynamically increases its market share by establishing new branches and representations in Europe and Asia. 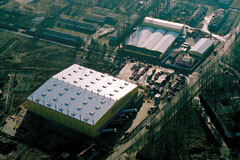 The company was founded over twenty years ago in Poland. Now it is known as a company operating worldwide, hiring about 350 employees. TOYA capital group shares are in possession of only Polish investors, who created unique brands, which guarantees continuous development of the company. Ability to create strong brands such as: YATO, FALA, FLO, POWER UP, STHOR, VOREL, LUND AND TOYA GIFTS is the most important factor distinguishing the company from its competitors. Over 1500 customers group is a result of high quality, best guarantee and finally brand loyalty. TOYA group has professional logistic network, including modern logistic and distribution centers, transit points and high storage warehouses keeping over 40 000 pallets, which enables efficient storage and delivery of goods for worldwide customers. Company’s activity in two decades time focus on dynamic development and investments in newest technologies, which assures nine digits sales income annually. Long-term cooperation with our clients based on high quality products and meeting the needs of customers ensures long-range success of our client’s companies and powers up further cooperation. 1990 - Establishment of TOYA IMPORT-EKSPORT S.C.
2001 - Establishment of TOYA S.A., which acquired assets of TOYA IMPORT-EKSPORT S.C.
YATO – hand tools for professional use. The brand is known on the market by its high quality and good prices of offered products. 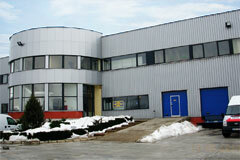 It has esthetic, modern design and the offer is continuously expanded by new lines of products. 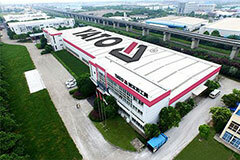 Products under YATO brand can be used in three fields: car repair workshops, construction and garden. POWER UP – power tools for more demanding DIY. The brand’s features are good quality and prices. It includes ex. impact drills, grinders, rotary hammers, water pumps, electric pressure washers, hot air guns, planers, glue guns and soldering guns. VOREL – tools for users who appreciate ergonomics and good price. For use by DIY and households. The brand characterizes balance between quality and price. It includes wide range of construction and DYI tools, measuring and electric tools, power tools and car accessories. STHOR – the brand includes modern, common use power tools. It is placed in the middle class of products. Its features are good price, modern design and good ergonomics. Tools for DYI and households. for users who appreciate quality for good price. STHOR brand includes ex. circular saws, impact drills and angle grinders. FLO – full program of garden tools and power tools. Wide range of tools under this brand consist of almost all products necessary in a garden. It is placed in the middle class of products. Brand includes pruners, shears, saws, axes, water program, garden power tools, gasoline tools, spades and rakes. FALA – brand includes ex. mixers, faucets, shower handles, bathroom scales, toilet seats, and wide range of modern design bathroom accessories.